Music During Studying: Does it Help? An experiment from Georgia State University went into depth into this subject, more specifically the music type and its emotional effect for an added bonus of my original question. The report is written by Marjorie Freggens of GSU, and was directed under David Washburn, Ph.D. of GSU’s Department of Psychology. Experiment: To test their performance, the participants were put through a series of training tests on Dell laptops. The tests had the letter X on the screen that were colored as blue, red, yellow, or green. The participants were to press (as fast and accurately to the best of their ability) the right arrow key if the letters were yellow or red, as the left arrow key was used to indicate confirmation for green or blue letters. During the tests, four different kinds of music (happy, sad, tender, fear) played to check if that had any affect. Interestingly enough, the results indicate significant relationships between music and performance. The ANOVA (analysis of variance) table showed a p-value of .043 for the difference between kind of music, meaning that it was statistically significant (p < .05 or 5%). More specifically, the results show the most efficient and accurate response time for happy music, as other types of music failed to find a statistical relationship (Tender music had a p-value of .059). While most studies focus on whether or not music improves performance abilities, this study was particularly striking to me because the type of music was considered to see if that had an impact as well. Happy music appeared to be the kind of music to enhance the participants’ performance on the color X test. More research found more insightful results on the matter. According to this report of an experiment, we can see the affects of music on adults and kids. This report was written by professors University of Toronto, Canada and Nagasaki Junshin Catholic University in Japan. The study measured mood/arousal and performance with music. The experiment consisted of 48 Canadian undergraduates that were tested in a sound booth. They listened to music (Mozart and Albinoni) for 10 minutes, then proceeded to do a 2-minute test, where they answered yes or no based on looking at a monitor and determining specifics of what was shown on the monitor. An additional test done was a letter/number sequence, which got more difficult to answer accurately as it went on. They were to recall the sequence in a certain order after seeing the sequence (one second/letter or number). Results from the first set indicated statistically significant results, as listening to the music made an impact of mood with a p-value of .033. The second set of test results showed mood (p=.043) and arousal (p=.004). The next analysis showed the actual performance of participants, which indicates a statistical relationship between the test scores and listening to music (p=.012). Overall, these tests tell us that listening to music significantly helped with cognitive performance, but mood and arousal had different effects. The next experiment conducted by the same team from the previous study was done with young Japanese children to test creativity and performance in kids. Experiment: The baseline session consisted of the students drawing a picture, then drawing an additional picture after listening to music. Out of four groups of the kids, 2 listened to Mozart and Ailbinoni, while another heard similar child-friendly tunes and the last group sang child-friendly tunes before drawing. After the musical experiences, the children were randomly assigned to draw a second picture, and the pictures (both baseline and after musical experience) were rated by randomly selected adults that were to rate creativity and proficiency. 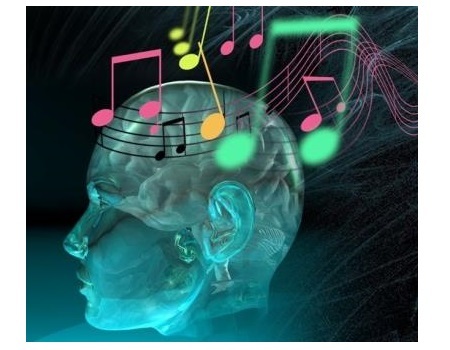 The results offer an significant findings, as they found the creativity and proficiency difference from the baseline to listening to music was statistically significant (p=.004) and singing familiar songs gave a p-value of .001. However, there was no clear link between the classical music (Mozart, etc) in terms of the cognitive improvement. Overall, the addition of listening to music improved the quality of the children’s pictures. At first I just wondered if listening to music actually beneficially impacted how someone works or studies or not, but these studies also showed certain types of music and their impacts. Looking at these studies have shown that upbeat, positive music tends to enhance the cognitive functionality in people. I believe it, because if I can get a certain type of music like that, I get in the groove and get a lot of concentration and work done efficiently. So, next time you want to study or get some homework in, try putting some upbeat music in the background that won’t distract you. Maybe that will get you generating more insightful work. If you want some helpful study music, this is my favorite to play. It starts off slow, but progresses to upbeat and is positive that really gets me in study-mode. This entry was posted in Uncategorized on October 18, 2016 by Naseem Memari. I read this post because at the Study Smarter not Harder seminar, a student asked if studying while listening to music helps with memorization, and I thought the professor’s response was interesting. In addition to what Melanie mentioned in the previous comment, the professor explained that for most cases studying with music does not help, because the majority of testing situations and professors don’t allow students to listen to their own music during exams. Therefore, since you don’t listen to the same song during the test that you listened to while studying, your memory won’t recall the information that you tried to correlate with the song. However, after reading the other comments and researching the topic myself, it’s clear that opinions about this topic are mixed; yet, many scientists and non-scientists conclude that it depends on the individual, and like you discussed, factors like the music style. As far as productivity goes, I’ve found that having a distraction like music actually causes me to try to focus harder, and I end up getting more work done. I really enjoyed your blog post and this question definitely poses some major controversy. I feel like every time I read or hear something regarding this topic, it always turns into a debate and I come out not really knowing the real answer. For instance, most of my academic career I have always been under the impression that listening to music or chewing a certain flavor of gum while studying would help you retain the material better, but I attended that Study Smarter Not Harder seminar Andrew encouraged us to attend and according to them listening to music while studying is actually harmful to your retention of information! Their theory is that we as humans are actually terrible multi-taskers and listening to music whilst studying is basically us trying to multi-task and ultimately failing. I found this stance to be interesting because in my mind I thought music made me more calm and thus made studying easier to concentrate on for long periods of time. I think no matter how much data is out there in the world on this topic, there is always going to be widespread controversy and no clear answer to this question. Love this blog post though, really made me think! Personally I have to disagree with you on this. Whenever I am doing homework or studying, I need complete silence or else I get way too sidetracked. Even if I am just reading tweets on twitter while my roommate is face timing her friends I cannot keep focus. I take in more information and fully understand material when I read slow and there is no sound. In one of Andrew’s lectures on September 9th, he stated that there is no advantage in multitasking. Productivity goes down when you multitask.I 100% agree with this based off of personal experiences and the way I see others attempt to multitask. To support my opinion, here is an article that lists ways that support why multitasking does not work. This post peaked my interest because I listen to music whenever I can, especially when doing schoolwork. For whatever reason, I feel that it is harder to do work when it is completely silent. It was very cool to see the results of these experiments. I would be interested to know what everyone perceives as ‘happy music’ though. I understand that within the experiment it was controlled, but couldn’t it be that some people feel happy listening to country while others define that as something completely different? Additionally, all of the experiments you cited were very small sample sizes, so they had poor generalizability. Personally I like it to be as quiet as possible when I study, it just helps me focus, but in the past many teachers have recommended listening to music, specifically classical music. Over summer session my English15 teacher asked us if we listened to music while we wrote, he asked what kind of music. As you could imagine most of us replied with music that had words in it. He told us to listen to classical type music or instrumental because the brain has a harder time focusing on the task at hand while at the same time it’s trying to process the lyrics from the song. He told us that listening to classical type music can help the brain spark thoughts more easily. That’s why in some of your classrooms in high school teacher would play music when you would take tests.